Hi friends! My dream came true - 500 followers! How it was! It was a beautiful day. I decided to register on the site! Steemit was a mystery to me ... I watched how other users put their posts and studied, gradually I got it. When I exhibited a few of my works, My drawings checked - @pfunk . We had a little misunderstanding. But we settled everything. And I'm happy that I was able to prove that I am the author of my work. To this day @pfunk Is my friend. I followed him, and with pleasure I watch his work. 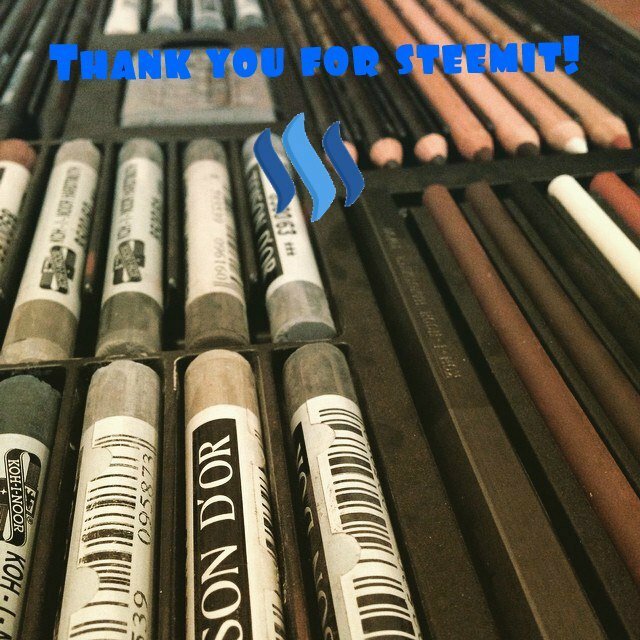 Thank you Steemit! Thank you followers! Dear followers! Thank you very much that you have it. Many of you have become dear to me. We became friends with many. It is a pity that we are at a great distance, I would hug you all now! Every 500 followers, I am proud and cherish you! I wish you many, many good things! 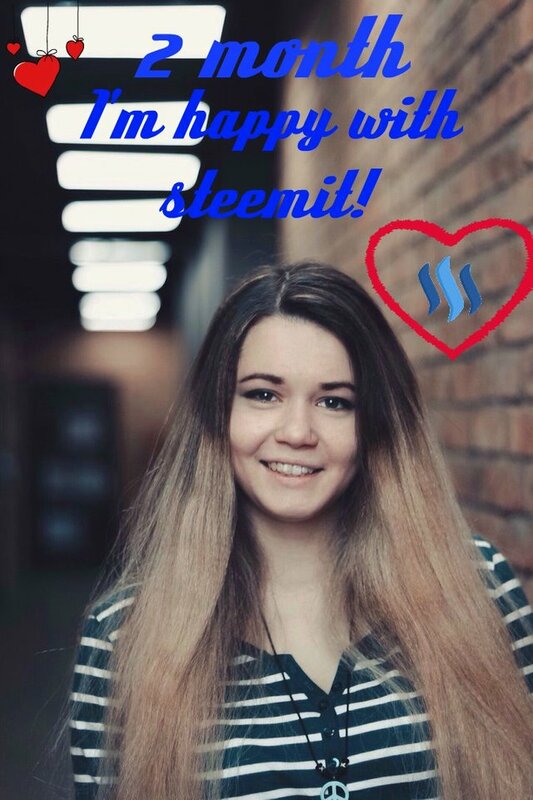 For two months I became happier along with steemit! 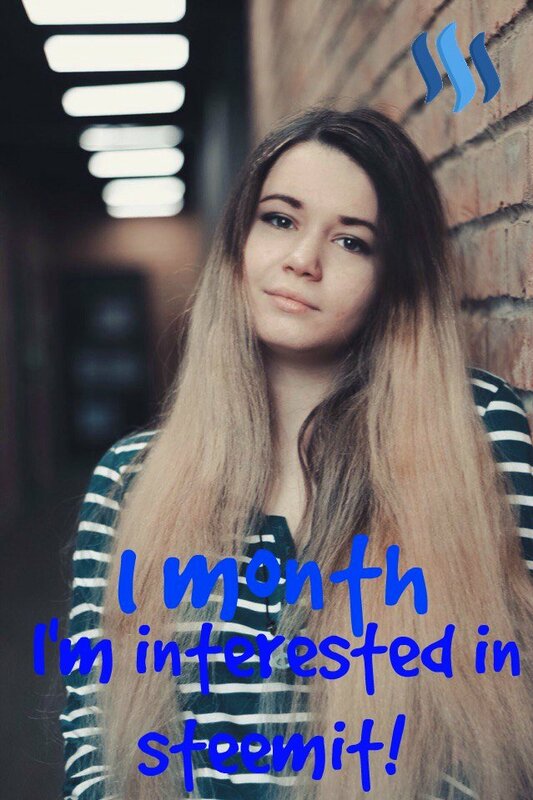 I was very interested in the site. I watched how other users behave. I read the rules. I wanted to know everything to the last detail. In order to expose your work you need to know where to put them. I voted, wrote comments and watched how other users react to my actions. I was surprised that a large number of users answered me mutually! The first month of my use of the site was successful. I began to trust steemit. Trust users. I exhibited my work without alarm. My posts began to reward. It is very nice. Thanks to this, I bought myself pencils, paints, and sheets of paper. I very well stocked up. 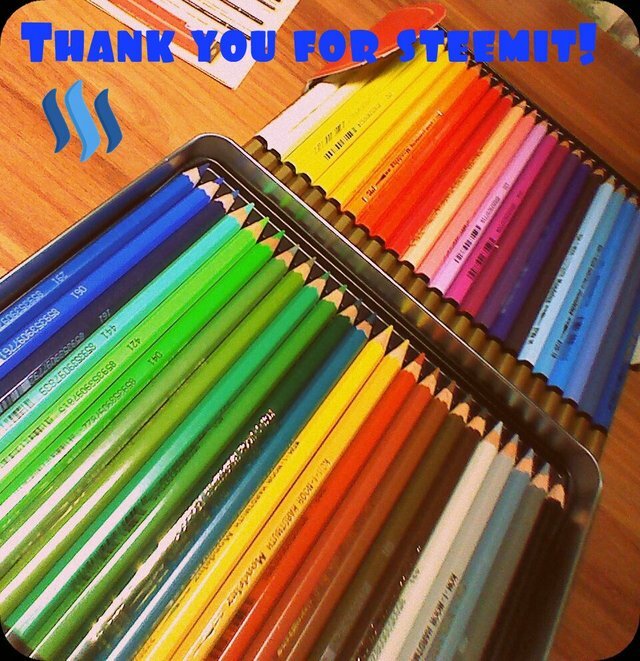 Thanks STEEMIT! Thanks a lot! 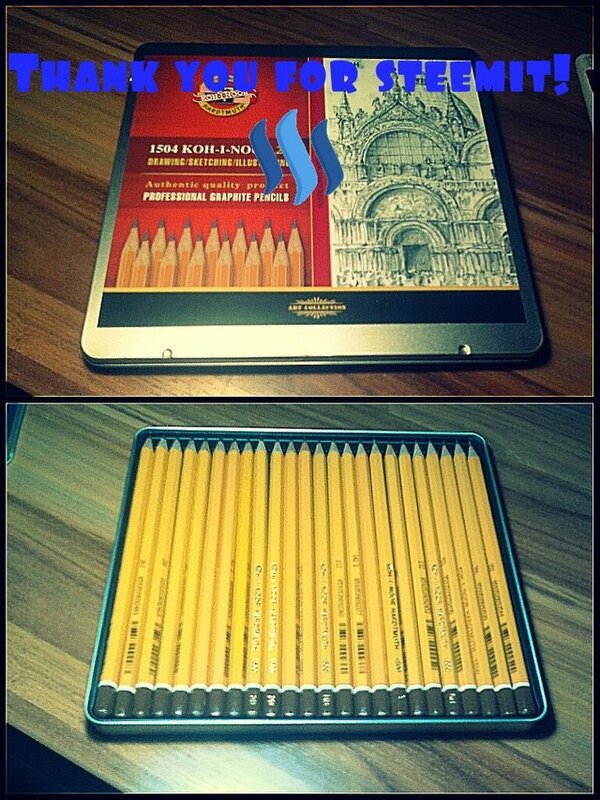 Thanks to you, with the money that you rewarded me, I bought myself art supplies. HOORAY! I'm sending you an air kiss! Drinking alone is as bad as shitting in company. Glad to find another kindred artist spirit here @andrianna. It appears you've made great investments--not only in Steemit, but in your supplies and in yourself. Upvoting and following you. Also, here is your personal invitation to join the Collaborative Art Journey. We would be blessed to have you come out and play with us. Thank you so much! I am very pleased! I am glad to welcome you! Always happy to see new faces here doing great! I sometimes worry that new people don't get the attention they deserve as I look at trending page and see only familiar names, day after day! However, I'm quite sure we'll see you up there soon enough if you keep this momentum up. 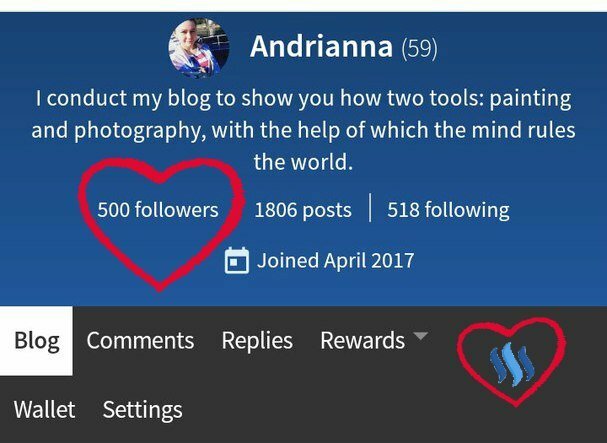 Congratulations with 500 followers @andrianna! Thank you my friend for congratulations! Congratulations on hitting that milestone. Judging by your page and the quality of your posting you'll be hitting the 1k followers soon too. Just a matter of time. Amazing posts from an amazing person, enjoy a shot of Jack on my behalf as well (newborn baby doesn't offer a lot of opportunities to drink, lol). Thank you! 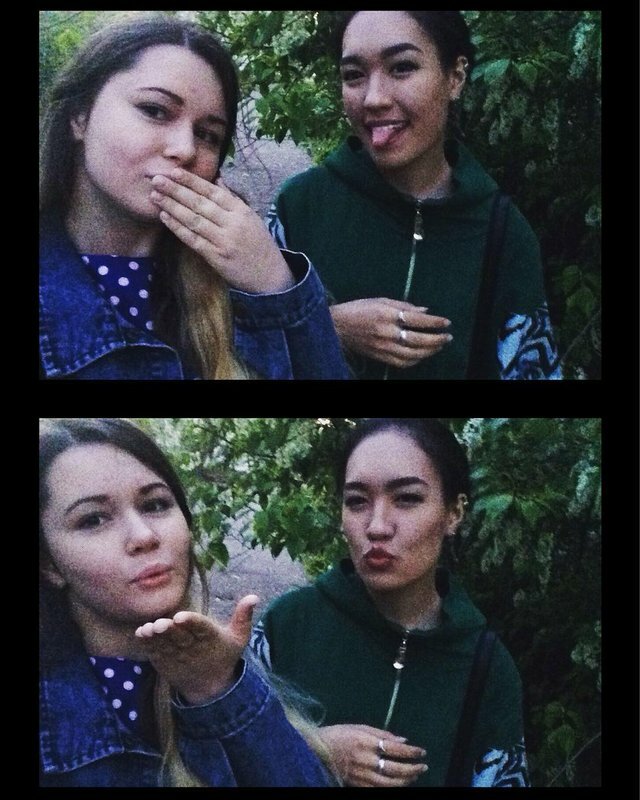 Very glad that you support me! 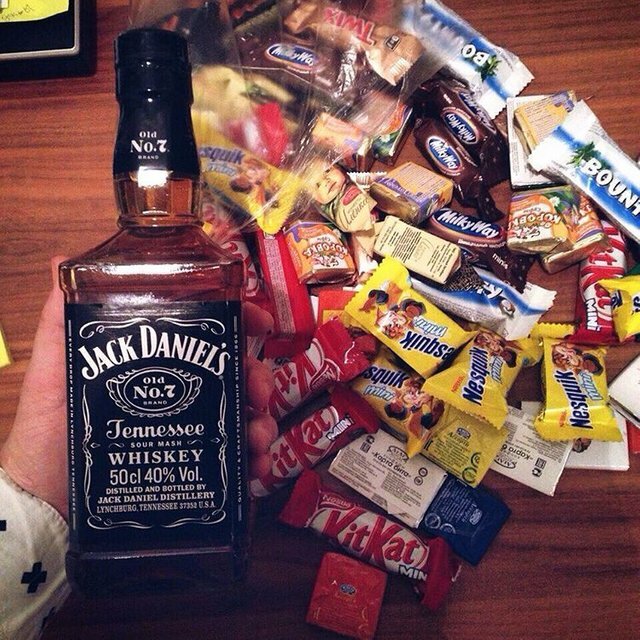 Jack Daniels, hmmmm... How old are you Sweetie? Felicitaciones @andrianna. Yo soy tu voto 101 jajaja! Happy for you, I am still working towards it. congratulations, Andrianna! I had no idea how good you are on here when I followed you a few days ago -- I like your pictures and that view of Painting and Photography being tools for the mind to rule the world. Very nicely put! Thank you . I like what you wrote. Thank you . Glad to welcome. Also signed up. Awesome. I knew you would float up like a butterfly. Congratulations. We are all so happy and proud of you. Thank you for the many times that you brighten our days. We applaud you. Taking a bow here. Thank you! Very good and kind words! I'm very, very pleased! Your beginning was fantastic. Keep going. Nice to hear such stories. Thank you! But it's nice to hear kind words! 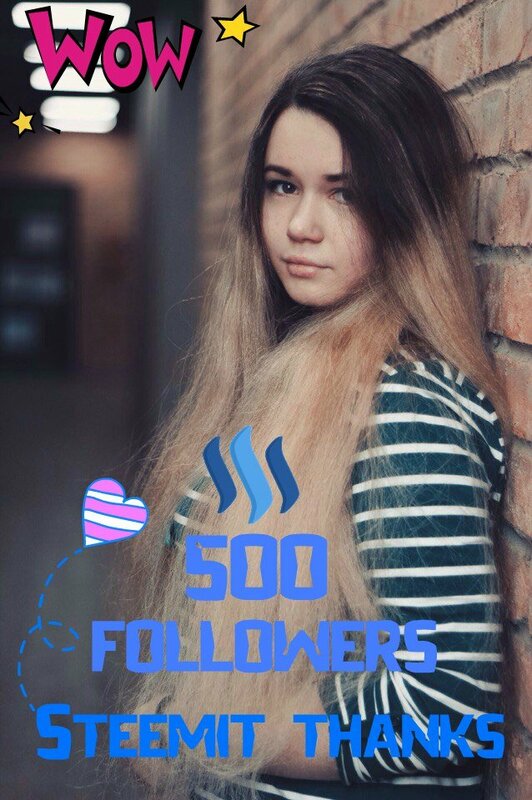 Congratulation, and keep steem on ! This post has been ranked within the top 50 most undervalued posts in the second half of May 22. We estimate that this post is undervalued by $23.76 as compared to a scenario in which every voter had an equal say. See the full rankings and details in The Daily Tribune: May 22 - Part II. You can also read about some of our methodology, data analysis and technical details in our initial post. Of course, we all celebrate. And I'm proud that you are all on my team. Thank you. Congratulations on your accomplishment and keep up the great content! it's true! thanks for the support! Thats awesome congrats, Keep on steeming! #UPVOTED! Hello! thank you so much! mutually! Simply lovely! Congrats!! I hope I may earn as many followers as you through my charity and kind words. Thank you! I wish you good luck! Thank you! I am pleased to! Congratulations on reaching this milestone pretty lady. It was great of you to mention everyone's name in the list who supported you. Cheers! Thank you! Very good comment! Very glad to get it from you! Congratulations on this great achievement... wish you all the more success... Steem On! congratulations @andrianna:) What a great post you have made!! keep on steeming!!!! Net target: 5000000000 more followers! Great news, Welcome to the community~! For Best Results: Re Steem,Follow,Upvote and Comment! Our pleasure, hope you are ahving a great time so far! Whisky now that's my language. Good work on the followers. You just got one more. Thank you! Mutually! Glad to welcome! excellent done! waiting for your next! I've enjoyed your art and you have a wonderful online presence. you look awful young andrianna how old are you.